One sign of the growing acceptance of the audiobook industry�s legitimate place in the entertainment industry, where audiobooks have some elements independent from the printed publications from which they are spawned, is the growing attention being paid to the key role of the narrator. 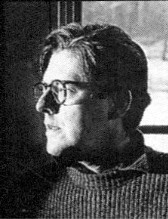 One of the best in the industry is Edward Herrmann who shared some observations in late 1994: "They�re not reviewed the way plays and movies are, which is changing, I think. I�ve actually begun to get some reviews... I recorded... Lost Moon, and I saw some reviews. Frankly, I was unaware that they were being reviewed. I suppose if you�re performing, reviewers and critics can�t be far away!" Herrmann offers further observations on his craft: "Some actors are good at it and some actors aren�t. Storytelling is a wonderful, wonderful art... but it doesn�t necessarily take a big-name actor to be successful with this which is great. For example, author Eudora Welty reading her work is just mesmerizing. I�m slightly sorry to see highly paid film and television actors getting into the act. If they�re good at it, terrific; if they�re not, it would be great if they stayed away, because there are a lot of actors that have chosen to lead a quiet life, rather than a glitzy life, who are superb at reading text." Herrmann has some strong views on the role of storytelling in our culture: "...teachers today complain bitterly that they can�t teach children without elaborate visual aids -- kids just won�t concentrate. [Their attention span] it�s like seven seconds. An Arab child can stare at a wall for seven hours with utter concentration and we can barely look at television for three minutes before we have to get up and get some food or have a different image to entertain us. However, storytelling really allows the mind to take a journey and concentrate on being told something. It�s wonderful!... The essence of this whole business on tape is so wonderful -- it�s just between you, the voice and the world the voice creates. It�s partly the old-time radio syndrome." Herrmann�s interest in storytelling began to evolve when his father and mother would go to New York once a year and come back with cast recordings: "I remember one year they bought an extraordinary recording of Charles Laughton and his actor�s company. It was a great story and I found out later that Laughton, who�s a wonderful actor, was being given just dreadful roles at Universal in the late �40s and they said, �Well, we don�t have anything for you. This is it.� �Well, wait a minute,� he decided, �I don�t need you, you need me. All I need is a platform and words.� Then he rented a theater, got a bunch of books an proved it. He had to move to a bigger theater and then he got the idea: Why not have a company that would read plays, not just act them out like productions and all that?" Herrmann�s love of language grew as he did Dallas rep theater while working on a master�s degree and then as he went to England on a Fulbright Fellowship where he "just gravitated toward the spoken word and the theatrical expression of things, and Shakespeare and language." Herrmann�s first reading for audio was some poetry by John Donne for Recorded Books: "An episode I�m not proud of. Donne�s love poetry is among the most difficult that I can imagine. It�s like reading some great Greek or Roman poetry... it requires an unbelievable amount of concentration. It needs a month of rehearsal to get it right, but I had carelessly thought "Oh, well, I�ll just read these... Unfortunately, it�s on tape. But from then on, I was much more careful about the time I allowed myself, because some books take a lot of rehearsal, and some books don�t." Edward goes on to share his approach to narration: "Try to judge the level of the work. For example, is this going to demand a great deal of my emotional life and my intellectual life? Is this really a first-rate piece of work? Who is it aimed to? Then, technically, you just have to read it and figure out how much characterization is involved, what�s the tone of the book and what�s the tone of your narrator... is she a conspirator, is he part of the story, should he be neutral, should I put him in a trenchcoat, should I put him in a wool sweater -- what kind of a voice do we want to tell the story? Then I have to tackle the nuts and bolts of how the writer has written his sentences." When asked if he listens to audiobooks, he replied, "The first time I listened to an audio book, I was driving back from Chicago with my wife and daughter. We kept putting the books in because my wife and daughter absolutely love them, but I hadn�t ever done it... it�s wonderful!"